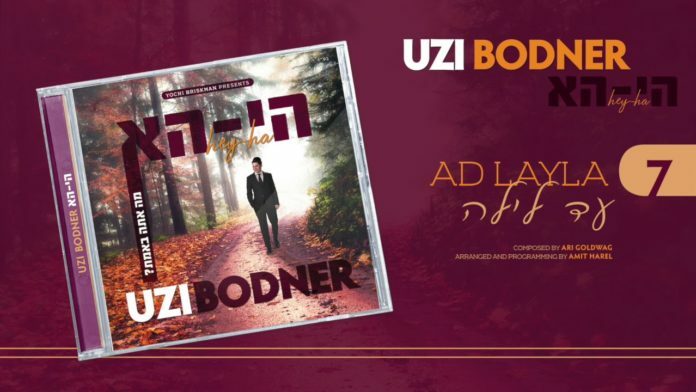 Home Music UZI BODNER: NEW ALBUM! Uzi has spent a year handpicking each song, and each arranger, with tremendous attention to detail, Uzi has prepared an album you will want to hear, over and over again! The album, titled “Hey Ha!” has songs composed by Elie Schwab, Mordechai Brezel, Boruch Sholom Blesofsky, Yitzi and Doni Gross, Yitzy Waldner and Ari Goldwag! The music is arranged by top arrangers including Amit Harel, Yanky Briskman, Yochanan Uri, Yitzy Spinner, Moshe Laufer, Doni Gross, and Shmulik Berger. The album will also be available for digital download on all platforms, including Nigun Music, Mostly Music, iTunes, and other outlets. Perfect for the month of Adar, as we increase in Simcha, you will want to pump up the volume and dance both months of Adar and beyond!